YETI Rambler Replacement Straw Lid- 30 oz. 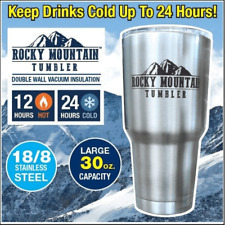 Rocky Mountain Tumbler - Double-Wall Vacuum Insulated 30 Oz Cup - As Seen on TV! 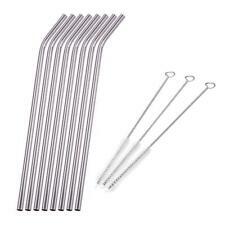 Stainless Steel Straw, can act as a stirring rods to use. Included: 8 X Stainless Straw. With Cleaner Brush, Give You The Best Convenient. 3 X Cleaner Brush. Shape: Bend. Material: Stainless Steel. Insulating And Heat Transfer. 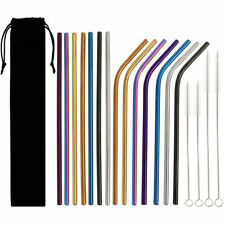 Size: straws 215mm (Approx.). With Cleaner Brush, Give You The Best Convenient. Shape: Bend/ Straight. Material: Stainless Steel. Hope you can understand. Easy To Clean, Resistant To High Temperature Sterilization. Stanley products have a patented vacuum insulation technology. Locking Vacuum Mug 16 oz. Nazwa:Classic Locking Vacuum Mug 16 oz (Polar White). Producent:Stanley, U.S.A. One-hand operation - 100% sealed (with a long threaded closure) - easy to fill,Wide Mouth wide. 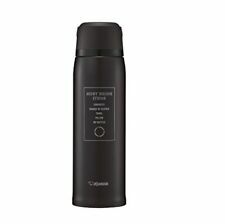 Starbucks Korea Keep Warm Cool Beer Can Tumbler 500ml 16.9oz Thermal Cup. Warm Reserving Cooling Starbucks Beer Can Style Tumbler. stainless steel Cup. Wide spout, tough body! Stainless steel bottle with a soft handle is a big success! Material:Stainless steel SUS304, PP. Manufacturer's part number: SF-CC15-XA. Standard or Expedited . Thermos Insulated Vacuum Flask Water Bottle Stainless Steel Outdoor Travel Mug. 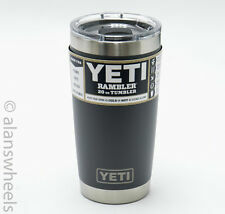 Yeti Rambler 20 oz Tumbler Vacuum Insulated with Lid, Cold As Science Alllows.